My heart has always been moved and broken by stories of sick and injured children, but even more so now that I’m going to be a mother myself. Although it’s still difficult for me to imagine what life will be like once I have a child, it’s even more impossible to imagine the fear and pain of that child having a life threatening disease. Let me introduce my friend Stephanie‘s sweet 4 year old nephew Cody. 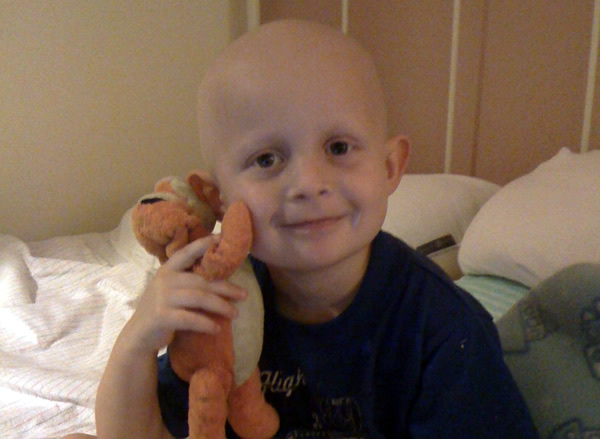 He has been fighting neuroblastoma, a childhood cancer since last July. 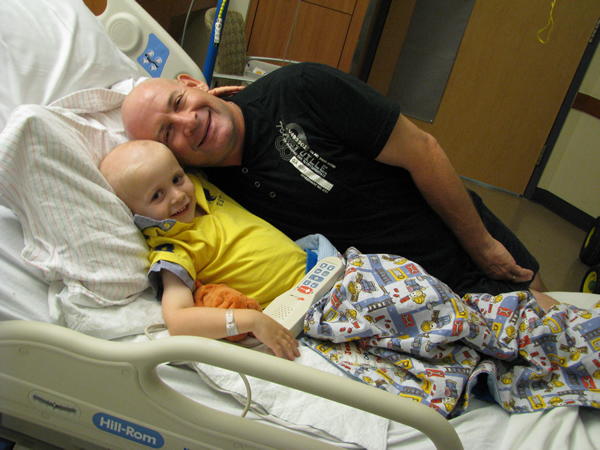 Now that his cancer has returned, aggressively, there are no more treatment options. Their family truly appreciates your love, prayers and support. Cody’s family has incurred approximately $15,000 in medical expenses to date. In addition to prayers and words of encouragement, you can help the family with the financial difficulties they’re facing. You don’t have to be able to give a lot to make a difference. We are on an extremely tight budget right now due to some medical bills of our own. It sounds silly to write this, but I gave up part of my toiletries budget this month, and instead of buying a new lip gloss and moisturizer, I’m donating that money to Cody’s family. It’s not much, but it’s something I can give up for a month to help. Stephanie has put together an auction called Cookies for Cody, with all sorts of traditional, gluten free and vegan baked goods, plus cookbooks and kitchen supplies. You can visit the page to see what’s being auctioned and how to give. You can also donate directly to the family from their blog. Stephanie asks that you please put “Cookies for Cody” in your message to the family with the donation so they can track how much the campaign raises. Thanks for reading a little bit about Cody and checking out the auction. I love being part of the food blogging community that supports each other so wholeheartedly! Thank you Diana. Our family truly appreciates your support.